BEIJING: While announcing Prime Minister Imran Khan’s official visit to China starting from November 2, the Chinese foreign ministry said on Monday that the upcoming visit would provide an opportunity for the leaders of the two countries to open a new chapter of the development of bilateral relations under the new circumstances. Prime Minister Imran Khan, on the invitation of his Chinese counterpart Li Keqiang will pay an official visit to China from November 2 and on the invitation of President Xi Jinping, he will attend China International Import Expo from November 5 in Shanghai, Chinese foreign ministry’s spokesperson Lu Kang said during his regular briefing held here. The spokesperson said that this would be Prime Minister Imran Khan’s first visit to China after assuming the office. “This visit will provide an opportunity for the leaders of our two countries to open a new chapter of development of bilateral relations under the new circumstances,” he said when asked to share the specific detail of the visit. He said that during his visit, Chinese President Xi Jinping will hold talks with the prime minister and added, Premier Li Kiqiang will also hold talks with the distinguished guest. The spokesperson informed that the two sides would have an in depth exchange of views on bilateral relations and cooperation and issues of common interest. “Apart from official events in Beijing, Prime Minister Imran Khan will also travel to Shanghai to attend first China International Import Expo,” he added. Pakistan will participate in the China International Import Expo (CIIE) to be held in Shanghai as the guest of honour. 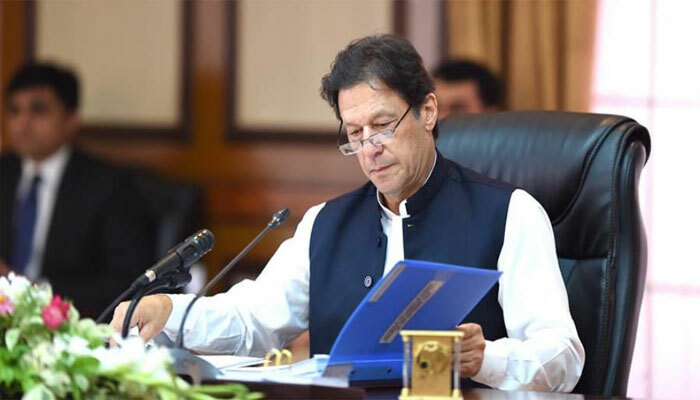 Prime Minister Imran Khan will attend the opening ceremony of the CIIE, and deliver a keynote speech. He expressed the confidence that the bilateral relations between China and Pakistan would not be affected by a change in the international and the domestic situations. “In recent years, both the countries enjoyed frequent high-level bilateral relations and our pragmatic cooperation have been deepened,” he added. The spokesperson said that the China Pakistan Economic Corridor (CPEC) had achieved the fruitful outcome and the friendship between the all-weather friends had become ever deeper to deeper.